First up is Membership, with four gorgeous colors of Vidalana Sumptuous. This yarn is 80% Superwash Merino, 10% Cashmere, and 10% Nylon, and is probably the softest Merino, Cashmere & Nylon blend you’ve felt in awhile. 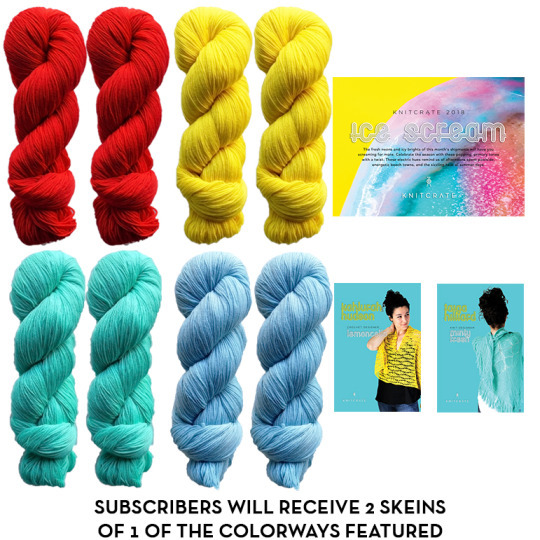 Subscribers will get two skeins, for 880 yards of a single color to work with. The colors are vibrant and beautiful, just like our theme board for the month. We’ve got a bright, iconic red called Smacker, an aptly-named, vibrant yellow called Bananas, a minty seafoam green called Chewies, and a cool blue called Ice Pop. The patterns this month are the perfect pop of color for your wardrobe! 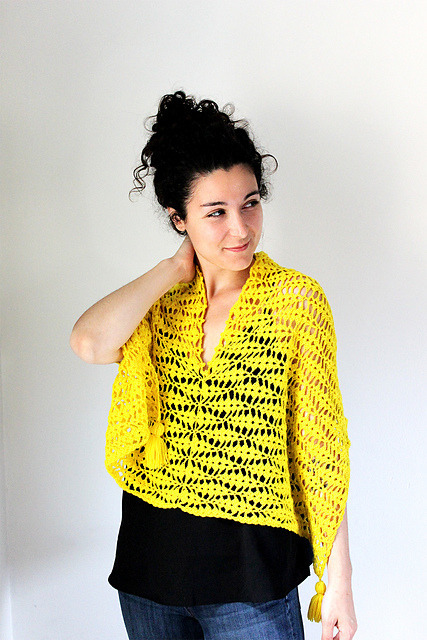 Our crochet pattern this month, Lemoncello, from designer Kalurah Hudson, is a flirty and versatile poncho with adorable tassels. Check out the Ravelry listing to see all the fun ways we were able to style it. The knitting pattern is designed by Taiga Hilliard, and features a traditional shawl shape accented by fun, fringed edge. 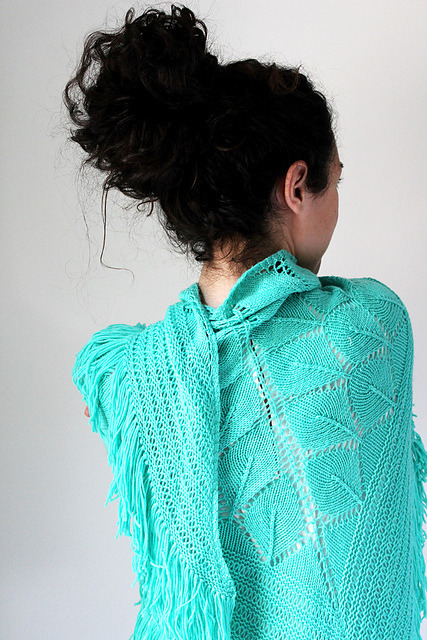 The larger scale lace in Minty Fresh really makes this a super-soft accessory you’ll love knitting and wearing. We can’t wait to see these crates start arriving, and hope that you’ll join us, as always, in the Ravelry group for all the fun of the knit and crochet-a-longs. See you there!